VIX is currently trading at the lowest levels since early October. The entire panic move in VIX has now all been corrected, most probably causing massive p/l pain, both during the move up and then down. Below is not an accurate logic, but it is worth pointing out that last time VIX traded here the SPX was just below the 2900 level. 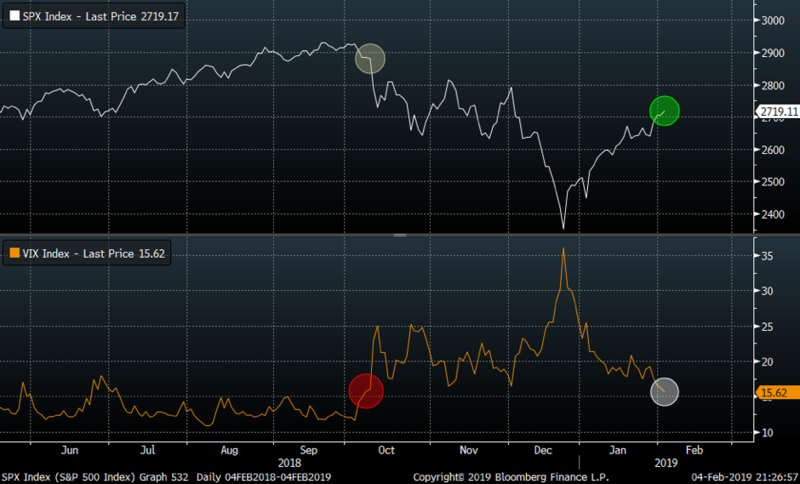 We are not saying this VIX level should take the SPX to 2900, but merely pointing out how much fear has been “taken out” of volatility. The VIX 1 versus 6 months futures curve is going more negative today and the spread also trades at levels last seen in early October. 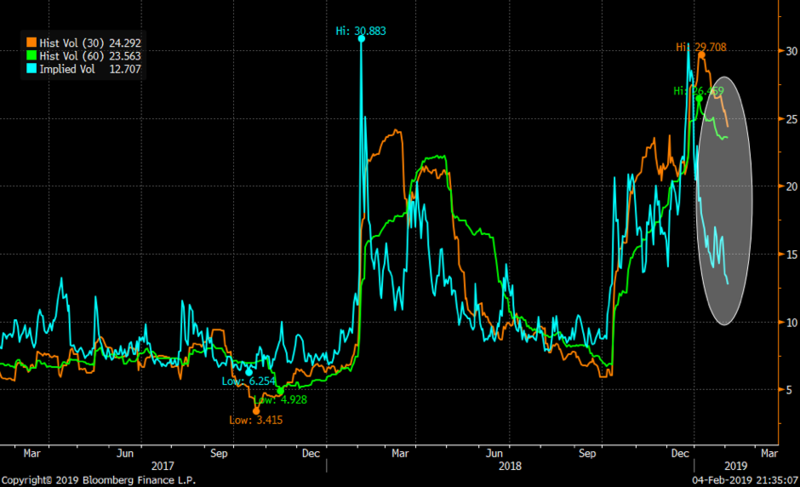 SPX implied vol (blue) versus realized vols (30, 60 days) continues widening the gap. 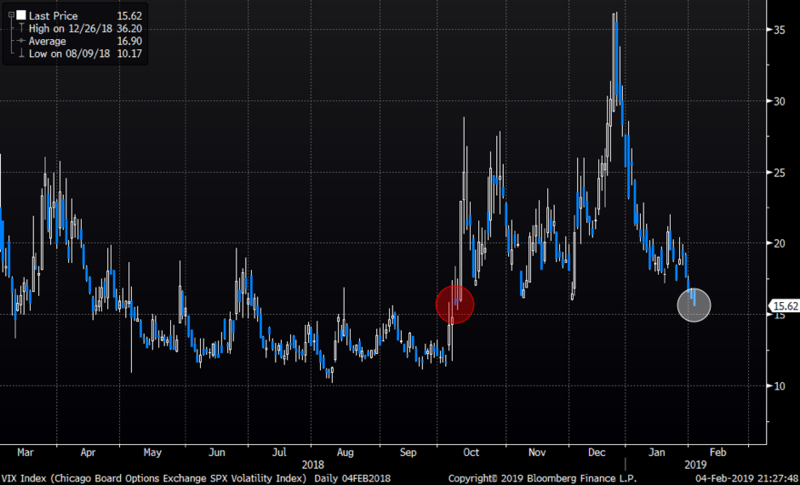 All we need now for the contrarian buy vol signal, is the quants to tell us volatility is expensive as risks have diminished.